I was in the ‘Scientists panel’ of the great history Quiz in the Netherlands together with Midas Dekkers (biologist and writer of popular scientific books) and Ivan Wolffers (Writer and professor on family healthcare). We did really well but eventually lost…from the politicians! …on a question about Spinoza!!. 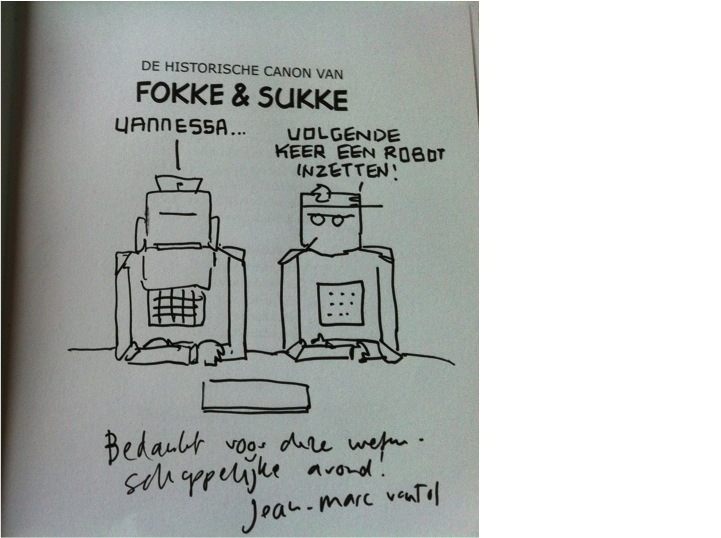 Afterwards the writer of fokke and sukke cartoons made me this supercool drawing, it says: “Vanessa, next time take a robot”..